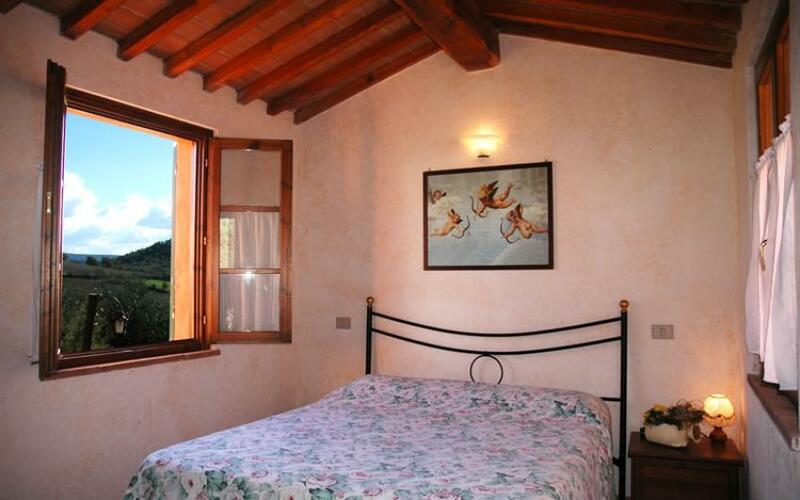 Agriturismo Il Giogo’s 12 rooms offer maximum relaxation and privacy for an authentic holiday in nature. 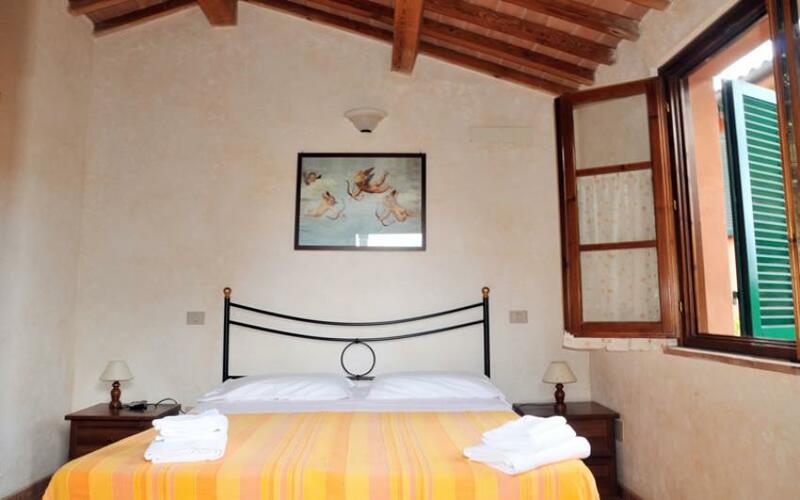 All rooms offer free Wi-Fi, heating, a private bathroom and a window overlooking the Tuscan countryside. The rooms can accommodate up to a maximum of 4 persons. Children up to 2 years of age stay for free (provided cots are available and requested). 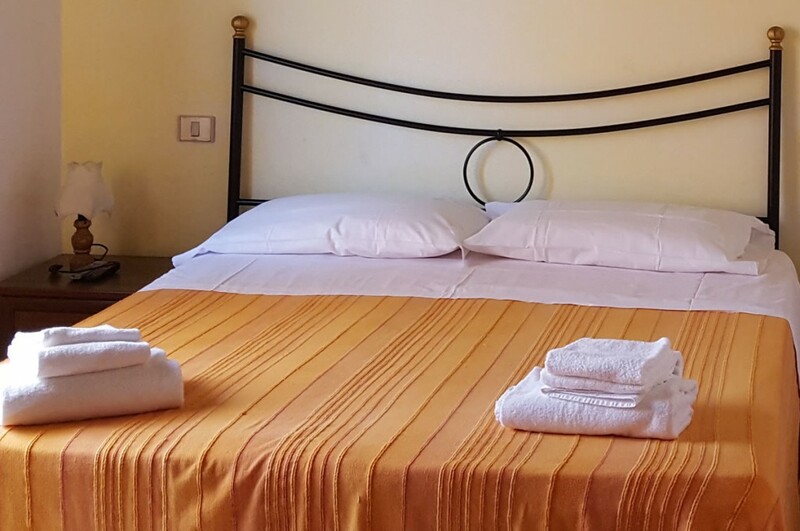 During your stay, you can choose the bed and breakfast option or the half board one at special prices. This room can accommodate up to two people in either a double bed or twin beds. We can also provide a cot. The Nest Room is decorated in typical Tuscan style with exposed stone, terracotta flooring and a solid-wood ceiling. It is located on the first floor of the main building. Room amenities: heating, private entrance, wardrobe/closet, shower, WC, private bathroom, TV. Ground floor room with independent entrance, can be twin/double or triple/quadruple. 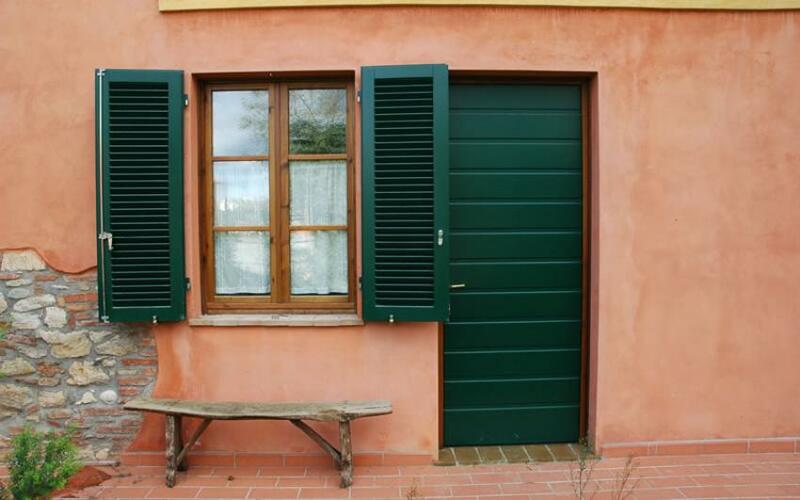 Furnished in a traditional, rustic Tuscan style, equipped with television and private bathroom. Ceiling with wooden beams, exposed stonework and earthenware tiled floor. The Family Room measures around 34 m2 and is suitable for families or groups of up to five people. 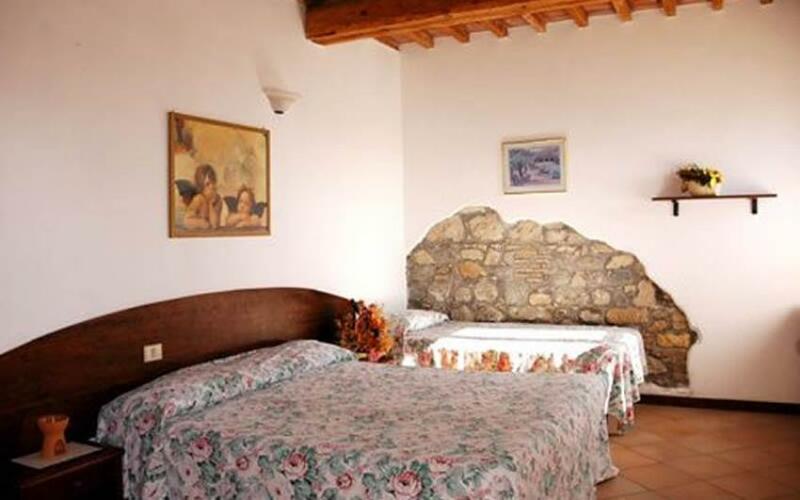 It is decorated in a rustic style with wooden beams, exposed stone and terracotta flooring. Those staying on the ground floor have access to the garden and those staying on the 1st floor have access to the sun terrace. Both areas are furnished with tables, chairs and sun loungers.